WELCOME TO FARVIEW ANIMAL CLINIC! If you live in Paramus NJ, then you have picked the perfect site to find a Veterinarian. 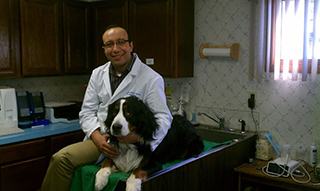 Dr. Sherif George Mosaad has practised Veterinary Medicine since 1999. He is licensed in the state of New Jersey. Your pet's health and well being is very important to us and we will take every step we can to give your pet the best possible care. Compassion combined with a pursuit of excellence in medical and surgical care for your pet is the philosophy upon which our clinic was founded . We recognize that your pet is very important in your life and deserves our very best effort all the time, every time. Farview Animal Clinic was established in 1982 by Dr. Louis Malacrida as a full service Animal Clinic in the Paramus area. For more than 29 years we have been dedicated to offering the best Veterinary Care to pets. We are available to handle emergency cases as well as routine medical, surgical, and dental issues. Beyond first rate pet care, we maintain a very calm environment in our comfortable, child-friendly reception area. 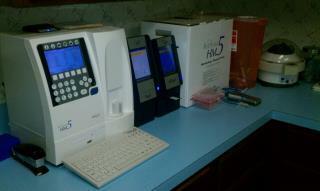 The best preventative care for animals is good nutrition and prophylactic treatment. We have a number of resources for you to use to learn more about how to take care of your pets. Browse around our website and look at our articles and pet videos. If you have any questions call 201-967-1881 or email us and we'll promptly get back to you. Our Paramus Veterinarian office is very easy to get to, and you can find directions on our Contact Us page. You can also subscribe to our newsletter which is created especially for Paramus pet owners. In addition to your regular Veterinary visits, your pet will benefit from you reading these free informative articles. At Farview Animal Clinic, we understand that your pets are valued family members. 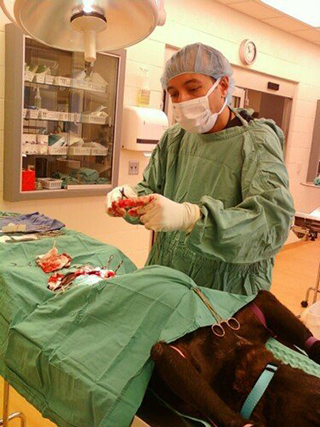 Is a graduate of The Veterinary Medicine College - Alexandria University May 1999, Dr. Mosaad is a member of The American Veterinary Medical Association, New Jersey Veterinary Medical Association and Northern NJ Veterinary Medical Association , He is also has been licensed in the states of New Jersey and Pennsylvania. "This is by far the best vet around. Such good quality service and nice humans, too! Love, Cupid and sidekick"
"Dr. Mosaad is a wonderful doctor. He is gentle with my dogs & patiently answers any questions that I have. The office staff is always friendly and helpful. I would absolutely recommend Farview Animal Clinic, they are the best!" "Always punctual an knowledgeable along with friendly staff. I especially appreciate Dr Mosaads calm nature, he seems very much at ease handling the animals."